Do you need help refining your schools in your college search? Every school can offer excellent academics but sometimes they may not fit your personality or life wise. Here are some effective ways to find the best fit school. Learn more about some of the top colleges with undergrad engineering programs. Each school holds different opportunities for aspiring engineers. Find the school that’s right for you! Those that speak more than one language are at an advantage than those that don’t. College is a great place to learn a new language. This post provides the top (private and public) colleges for Foreign Language majors. A Communication major is broad enough for you to have countless options after graduation. Courses in journalism, mass communication, public relations, and advertising will guide you to success within the government, healthcare, Internet Marketing, mediation, nonprofits, business administration, and more. Here is a list of the current top ten universities in America for a Communication Major, along with their course requirements. There can be a number of intimidating encounters that you will experience along your college admissions journey; among them is when you’re directly communicating with college admission representatives at college fairs. You may feel as though you have to be careful with your words and the way in which you present yourself to them, or that they come to college fairs to hunt down information on prospective students. However, these common misconceptions are false. College representatives come to college fairs simply as resources. All they want to do is provide you with as much information about their school as they can and to answer any questions or concerns that you have. They are not there to find out your deepest darkest secrets and put your name on a list of future rejections. So no need to fear, here’s a guide on topics you can discuss with college representatives. When speaking with an admissions representative, you should always ask questions that are specific to the particular college or university that they are representing, rather than asking broader, general questions that can simply be answered on the College Board website. For example, instead of asking what the GPA or SAT/ACT standards are for that school, ask about the kinds of aspects that the school particularly looks for in prospective students. Try asking more open-ended questions rather than yes/no questions so that you are given as much information as possible. You should also do a bit of research on the colleges that you are interested in looking into before you attend the fair, so that you have a better understanding of the school as well as some things you may want to ask the representatives. Ask them about specific academic programs at their school or the campus environment. Not only does this allow you to have more accurate information, but it also shows the representative that you genuinely have an interest in that particular school. Don’t worry too much about that last part though; like I said, they’re not hunting for prospective students. This is just something that they appreciate, and may take note of when they review your application. However, do not be afraid to talk to representatives from schools you have never heard of because you might end up liking it a lot more than other schools you researched. More than anything, the discussion between you and a college representative is nothing more than a conversation. So don’t treat it as if it’s an interview that your whole future depends on. Act casually, and speak to them like they’re actual people that you’re interested in speaking to. This doesn’t mean that you should rest your feet on a table and share a joke or two with them, however. It’s just important to keep in mind that these people are just here to help you; nothing more, nothing less. So just keep in mind that college representatives are simply sources of information about particular schools, and there's absolutely no harm in speaking with them. You'll probably leave the college fair with so much more information than you expected if you do. If I’ve been known to be borderline obsessive about two things, they would be college and organization. I’d made my first college-themed binder in the seventh grade, taking my list of my top colleges at the time and collecting statistics to organize into the huge pink folder. Now, with college a lot more relevant and right around the corner, I’ve caught onto more quick ways to make the whole process a lot easier and more accessible for all of you guys! When I was first sifting through hundreds of college listings online, I had no idea where to start and how to keep track of the information I was getting in an accessible way. Let’s just say Google Sheets has been a college application lifesaver, saving me so much time and effort by keeping everything I need to know exactly where I can find it easily. Every time I come across a college I like, I put it into my college spreadsheet. Within this spreadsheet, all of these categories are filled out: “College Name”, “My Chances”, “Location”, “Number of Undergraduates”, and “Tuition”. I’ve figured out location and size are the most important factor to me, but my chances of getting in and the cost of the school are also important in deciding, so those are added in as well. This can definitely be adjusted to whatever factors you may care about the most, but this system has worked incredibly well in getting me a solid list of schools I really love even before my senior year has started. If you’re interested in looking into other factors that may play a part for you in choosing a college, there’s a great list of them here to sort through to see what’s really important to you. If there are two lifesavers I’ve come across while figuring out my deadlines for this upcoming year, they are Google Calendar and Google Sheets. While I use my phone calendar religiously for anything social going on, I like having Google Calendar on my laptop reserved solely for school and college-related deadlines. It’s insanely helpful just for keeping up with school work, but having the deadlines shown to you in a really visual way helps you to see just how much time you have left. I also like using Google Sheets, though, just to keep one concise place for keeping track of deadlines. With some applications potentially being due early, it’s easiest for me to lay all of the due dates out with what is due on each day so I can color code my way through the year, marking essays as green for done, yellow for in progress, and red for not yet started. First thing’s first: Folders, whether on your regular computer or Google Drive, will save your life. I have one for each college I’m applying to, just to keep each essay where it belongs. Any other essays, like drafts of the Common App or scholarship essays, all have their own folders so that everything has it’s place and I can’t accidentally submit an essay to Northwestern saying why I want to go to UChicago. Hard copies are super important, at least as far as editing goes. I got a 5-layered magazine rack from IKEA for only $15, and labeled each section as follows: “First Drafts”, “Ready for Revisions”, “Ready to Be Read”, “Last Edits”, and “Submissions”. The first drafts section is probably pretty self explanatory, but the others may not be as easy to grasp if you’re not in my weird organization mindset. “Ready for Revisions” means it’s not a complete mess, but it’s not close to being done yet. “Ready to Be Read” means it’s been made as good as I can make it on my own, but I need to get other opinions and make those edits before I can submit the essay. “Last Edits” is for essays that have been read and revised a few times, and just need a few last touches before they’re ready for submission. “Submissions” are for finished essays. Ta da, time to send those in (in all their magic college glory that you’ve worked so hard on)! By having an organized system both on your computer and in real life, it’s a lot less difficult to keep track of what you still have to work on before the approaching deadlines. As you work on and continue to edit your essays, sometimes it can be hard to have to critique your work as much as you do. For some advice on easy ways to edit your own essays, here are five quick tips. While it may all be stressful – I get it – it can be totally manageable, especially when you have everything organized. Whenever you find time to work on college applications, everything you need is accessible and catered just to you, making it so much easier than having to pull out the scratch sheet of paper you wrote your dream colleges on back in eighth grade. Everyone’s way of creating an organized system for dealing with college applications may be a little bit different, but hopefully you’ve gained a tip or two for creating a good organization system on your own. With even a bit more organization in your college search, it can free up so much time for you and really let you enjoy your senior year. And, I mean, who could turn down that offer? Not me, and hopefully not you either. All it takes is a spreadsheet. With the pressures to finish up your required courses, find scholarships, and deal with the excitement of being a senior in high school, applying to college can be a stressful process, but if you plan ahead of time and do your research, it makes things much easier. But what happens when the internet doesn’t give you much help? That’s where we take the books and find out our information the traditional way. 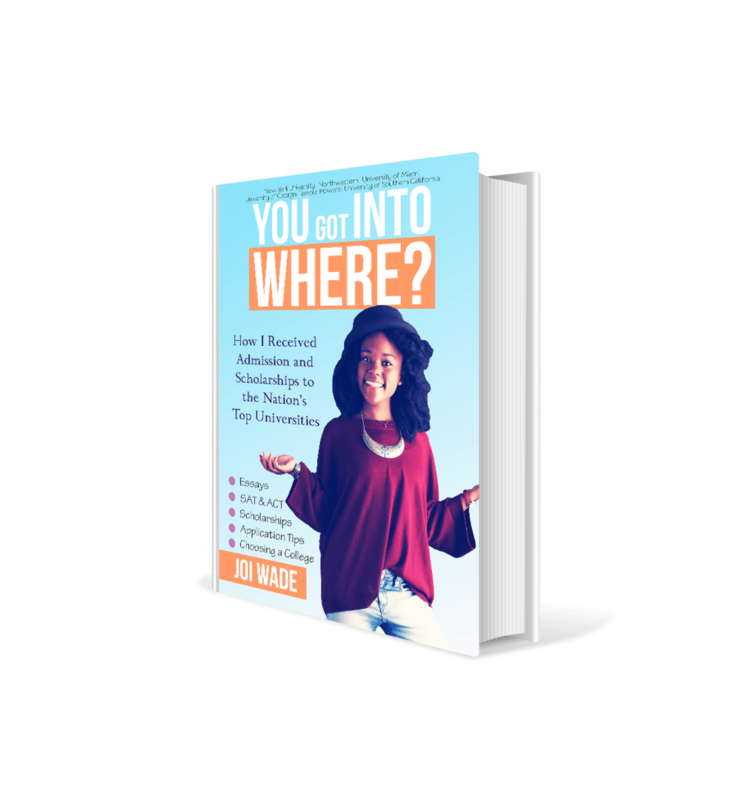 I’ve compiled three books that can help you find the perfect college as well as help you through the college admissions process. This a book that gives you a basic overview of every accredited college and community college in the US, this book can give you that. Every year, the College Board comes out with a new book with updated information. This book is split up into major section: the 4-year colleges and the 2-year colleges. Each section is listed by state and for every college/university they provide a student profile detailing how many students applied, how many were admitted, and how many actually enrolled to the school. The book also included the all the information such as tuition, room and board fees, and admissions requirements. It’s a giant book which is actually one of its cons. It’s not user friendly so it’s a layout that you might need to get used but if you are looking for a book with every single college, this one is for you. If you are looking for a book that contains the student’s perspective of your prospective college, this is your book. This book contains about 300 colleges and universities so I can’t say you could find your college in your book. However, they provide assessments of each school that they have listed. It does have a college finder section in the book that has some statistical information as ACT, SAT, and admission requirements. However, that’s not all. It has some information such as the highest minority attendance, highest female/male attendance, etc. This book prides itself on the student perspective on the school. If you want to get a feel for the student life on campus, this book is perfect. However, beware that the book contains some outdated information about tuition so pair this book with an updated book and you should be fine. Last but surely not the least, You Got Into Where? by Joi Wade is a guide that can help you in any part of your college application process. This book is the thing you need for if you want to learn about getting the good scores, on how to write essays, and completing those applications. Joi has gone through the struggle and has shared her experience to make the admissions process easier. This book includes a guide on creating a College Master List, how to ace the ACT, how to write essays, and how to get scholarships from top universities. If you are a senior and looking for something that can give some advice as well as help you through this stressful process, grab this book off of Amazon or Barnes & Nobles and start reading. I hope these tips will help you out these upcoming year. Leave a comment down below if you have any questions. And as always make sure you follow us on Instagram and Facebook. So you’re stuck? “PWI or HBCU?” Read on to discover things about both. *DISCLAIMER: Of course this doesn’t apply to ALL HBCUs and PWIs, these are just some common things and things I gathered from research! I’m not trying to make an HBCU seem better than a PWI nor am I trying to make a PWI look better than an HBCU! I suggest taking a tour around the campus and asking current students or alumni for the truth! The school year is about to start or may have already started for some of you. You seniors have begun to seriously think about schools you may want to apply to and may have already started applying. Some of you may be thinking, “Do I want to attend an HBCU or a PWI?” You may not even know the differences between the two. If that’s the case, this is for you! HBCU stands for Historically Black College and University! It’s defined in Title III of the Higher Education Act of 1965 as “a school of higher learning that was accredited and established before 1964 and whose principal mission was the education of African-Americans.” There are 106 HBCUs. PWI stands for Predominately White Institution. PWIs are just schools of higher learning in which whites accounts for at least 50% of the school’s enrollment. You have a better chance of getting a scholarship from a PWI than an HBCU. That’s simply because PWIs have higher endowments, which are money or other financial assets that are donated to universities or colleges, than HBCUs. They say that if you add up all the endowments from all the HBCU’s, they would still have less than 10% of Harvard’s endowment. Also HBCUs don’t have as much financial support from alumni so they don’t have money to give out as many scholarships as PWIs. You could get full rides to the University of Georgia (UGA), University of California, Los Angeles (UCLA), Florida State University (FSU), and Alabama but could only get a partial scholarship from Howard. If you don’t get a scholarship from any institution, HBCU’s tuition tends to be cheaper than that of a PWI. Homecoming at an HBCU is more reputable than homecoming at a PWI. Homecoming at an HBCU is a week of enjoyment, from the motivational speakers, to the games, and to the concerts. As a minority, it makes you feel like you’re “home”. Homecoming at a PWI is different. Your school’s location also plays a role! Alabama’s homecoming is probably nothing like Michigan State’s Homecoming! At HBCU homecomings, people look forward to yard shows seeing top Hip-Hop & R&B performers. Not all HBCUs have “lit” homecomings though, it tends to only be the bigger schools. The bands and dancers are different at an HBCU and PWI. Bands at an HBCU are more likely to be the show style type of band. PWI’s bands are seen to be corp style. You know the song “Cha Cha” by D.R.A.M? Tennessee State’s band performed that last year at a football game. Bands at PWI’s are more so infamous for their band formations. Ohio State’s band is real nice with it. They once did Michael Jackson formations and moon-walked across the football field! Oh, and the dancers? Check it out for yourself. Alabama State’s Stingettes! An experience you can’t find at a PWI. Oklahoma State’s Dance Team. At a PWI, people are more likely to recognize your school’s name than at an HBCU. Even though Howard is one of the best HBCUs, if you say “Howard” there are some people who may not know that the school exists. If you say “I go to Florida State”, most likely they’ll know what you’re talking about. People think that this will also play a role into you getting a job opportunity or not. Some say if the person at the job doesn’t know much about HBCUs, they would take the person with a Master’s degree from Georgia Tech than the person with a Master’s degree from Clark Atlanta. That is of course a theory though. Personally, I’d rather take someone with experience, no matter the school name. HBCU’s sometimes have smaller classes than PWI’s. Some say that HBCU’s have smaller classes than PWI’s. This isn’t always the case though. HBCU professors may know your name while PWI professors can’t keep up with the plethora of names. With a smaller class size, you can get more one-on-one support from your professor than you would at a larger university. Also with a larger class size, the way you receive your education could also be different than being in a small class. With a larger class size, classes are more likely to be lecture hall classes. Lecture classes don’t work for everyone, but they do work for some people especially if you like to stay to yourself. Smaller class sizes promote an interactive setting, where there will be a lot of student participation. Whether you choose to attend an HBCU or a PWI, make sure you conduct your own research because every school is different! A PWI may work better or an HBCU may work better for you. Some people would also say to go to an HBCU for undergrad because the campus life is one that you can’t get outside of an HBCU and to go to a PWI for grad! Every school is going to have its own faults honestly, but just make the best decision for your needs! Want to learn more about HBCUs? Check out HBCU Buzz and HBCU Lifestyle! As a prospective international student, before starting the applications journey, the prospect of attending a school in the States always felt inaccessible. Coming from the UK, it is fairly standard to attend a university quite close to home; studying abroad for all four years of your higher education is unusual and somewhat unique. Yet over the past few months as I enter my final year of high school, this dream of attending a US institution has become ever more real and very much possible. I always knew the difficulties involved when applying to universities in two separate countries however, the depth needed for American applications in comparison to that of the UK’s is astonishing. As an aid to all those international students dreaming of studying in the States, I have collated a list of the biggest differences between the two to assist you in your college decisions. Every college in America wants to get to know you as a person. This is something that really struck me when first researching into the admissions process, everything seemed so personal, each institution wants to know how you will fit as an individual onto their campus. When applying to an institution in the UK, the applications process will consist of your school grades, one Personal Statement and one school reference; these two components are sent to each University you apply to and that’s it! Of course they care about what you are doing outside of the classroom however be prepared to tell American institutions in full everything you decide to do with your spare time, it is a big focus in the States and very ordinary for your American counterparts. When applying to a US University, if admitted, you are admitted to the whole school. There is no need to apply to a specific course or major; you can decide once you’re in or when applying if you know for certain. For me, this was one of the strangest elements, as UK institutions require an application to one specific course for four years. Personally, I think the US system is much more freeing and if you do decide you have changed your mind on what you want to study, it’s no big deal. 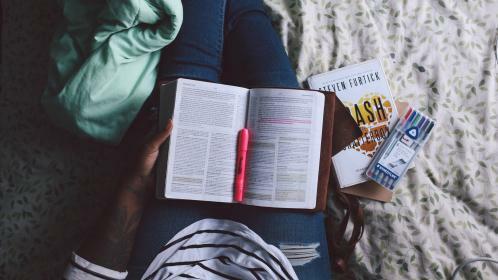 Applying to university can be a scary time for anyone but with the prospect of moving thousands of miles away from home, it is important to know your stuff and do your research before committing to studying abroad. I hope this article has cleared up any confusions prospective international students have on US institutions. With admissions tests, references, school grades and extracurriculars it can be daunting, but with your organisation and dedication who knows where it could take you. The mandatory essay of the Common App and other college-specific streamlined applications are one of the few opportunities given to showcase the student’s individualized character separate from academic statistics and achievements. While every part of the Common Application is to be taken seriously and concisely, the personal essay equally requires a mindful ease and authenticity. Students are constantly asking how to “stand out from other applicants.” The more appropriate and less overbearing question to pose to oneself is: How can I present my unique character in the most authentic way possible? The goal in mind should be to pose a well-written personal narrative distinctive to you; originality can often be lost if you are extraneous in your efforts to differentiate yourself from others. Once you have reviewed the question(s) being asked of you, you may start to think of the content of your essay. Here are some things to avoid, and to keep in mind. It is important to take note of which accomplishments, interests, etc. are already noted in other parts of your application. Your essay should reflect a facet of yourself not already known to the admissions counselor. For example, if you have participated in a varsity sport in your high school career, and have indicated as so in the “Activities” portion of the application, do not focus your essay around that point. It has already been made obvious to the admissions counselor and would therefore make for a less interesting read. I have seen unique formatting choices made by previously admitted students; however, the format of your essay should not be so pretentious that it distracts the application reviewer from the factual content of the piece. Stick to a standard paragraph format, or review any unique formatting choices with a trusted English teacher. A moment, accomplishment, or failure of any significance to you, whether big or small, can make a great essay. Start with a brainstormed list of any instance of significance to yourself, big or small. Then, narrow the list down to topics that you feel have the potential to be expanded into a greater essay. From there, assign the smaller list of ideas to a prospective question, or questions. Your first draft should never be your final draft. Once you feel that you have laid a foundation for your essay, leave it alone for a few days. Revise your essay with a fresh insight. Then, ask for secondary audiences to review your essay. *TIP: Create a list of questions to ask of your reviewers once they have read your essay. Questions such as: What was the mood of the essay? In your opinion, does the essay most accurately reflect my everyday demeanor? If your reader believes your essay not to be the most precise reflection of yourself, ask for an explanation and personally review the essay once again and make any further revisions. Remember that colleges want to read about the interesting quirks and experiences that have shaped your persona. Your voice is the most valuable tool that you possess, use it to your advantage. Get to writing. Good luck!